Michel Ancel has opened a new studio, Wild Sheep Studio, but before you start ripping your hair out and running through the streets shrieking and howling, this doesn’t mean Beyond Good & Evil 2 is beyond hope. Ancel will remain at Ubisoft, and he is, Ubisoft confirmed to Eurogamer, working on the sequel to the much beloved tale of photojournalist, rebel and adventurer, Jade. Ancel is also “leading the creative development” of multiple projects at Ubisoft Montpellier. It’s not clear if Beyond Good & Evil 2 will be the next game to come out of the studio or how far along it is. 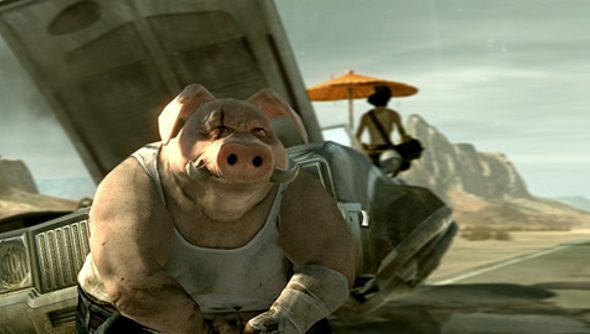 At E3, CEO Yves Guillemot said that Beyond Good & Evil had a future, but made it sound like development had taken more than a few steps back. In 2008, a teaser trailer for Beyond Good & Evil 2 appeared and Ancel was reported to be working on the sequel, but that stopped so he could invest time in Rayman. Now, though, we know it’s happening. And that’s more than we’ve known in around six years.